The fourth-quarter results season has already seen a host of unwanted projects cleared from pharma companies’ pipelines as they tighten their focus on the projects with the most chance of a good return on investment. Among those who have reported so far is GlaxoSmithKline, which has already taken the axe to dozens of projects since it implemented a major revamp of its business under CEO Emma Walmsley – prompted by blockbuster patent expiries and a sprawling pipeline with a lack of late-stage projects. 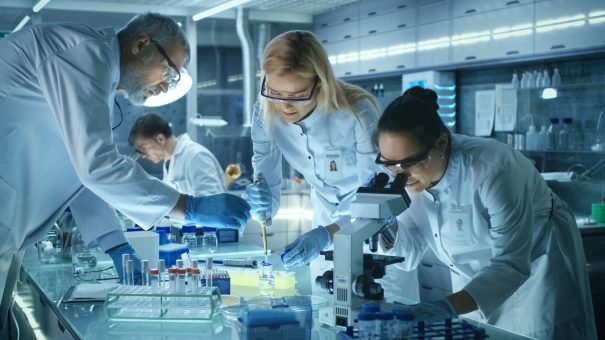 Another eight projects have been shelved since GSK’s last R&D update in mid-2018, bringing the total number of abandoned projects to more than 80 since 2017. The latest cull is heavy on respiratory medicines as GSK redirects its R&D engine away from its former heartland and into new opportunities in oncology and immunology. Out go two phase II drugs for chronic obstructive pulmonary disease (COPD) – CXC chemokine receptor (CXCR2) antagonist danirixin and PI3K-delta inhibitor nemiralisib – as well as a TLR7 agonist for asthma, a TRPV4 antagonist for acute respiratory distress syndrome and cough, and an aVb6 antagonist for idiopathic pulmonary fibrosis (IPF). Outside the respiratory category, the only casualty this time around is an anti-SAP combination in phase II for systemic amyloidosis. French pharma Sanofi is another company that has had a radical rethink of its R&D priorities of late after facing a patent cliff and disclosed in its fourth-quarter statement that it had axed no fewer than 13 clinical-stage development projects, six of which were in the diabetes and cardiovascular areas. The cull included a dual GLP-1/GIP agonist for diabetes in phase I which would have competed with a rival drug from Eli Lilly already in phase II, a phase II GLP-1/glucagon agonist for obesity and diabetes in mid-stage trials, and a clutch of myosin inhibitors headed by phase III candidate mavacamten – originally licensed from MyoKardia – for cardiomyopathy. The drugmaker’s immuno-oncology pipeline has also taken a hit, with anti-LAG-3 and CTLA-4 inhibitors in phase I discontinued, along with phase 2 candidates for osteoarthritis, antimalarial, respiratory syncytial virus (RSV) and microvascular angina. Eli Lilly’s quarterly update revealed that two phase II candidates had been shelved, namely a dual amylin calcitonin receptor agonist (DACRA) called DACRA-042 for the treatment of diabetes and an unnamed Bruton’s tyrosine kinsase (BTK) inhibitor for rheumatoid arthritis licensed from South Korea’s Hanmi Pharma. Also discontinued was a urocortin-2 peptide for heart failure, that had reached phase I development. The move comes shortly after Lilly acquired Loxo Oncology in a deal worth $8 billion, the latest in a series of initiatives to boosts its cancer pipeline such as its $1.6 billion takeover of ARMO BioSciences last year. The Loxo portfolio includes a BTK inhibitor, which may have a bearing on the decision to drop the Hanmi drug. The big news in Roche’s results was the removal of amyloid-targeting therapy crenezumab for Alzhheimer’s disease from its phase III programme, but its other casualties included a phase II candidate – a PRO VAP 1 inhibitor for inflammatory diseases licensed from Proximagen. Two new molecular entities in early-stage clinical tests were also dropped, namely cergutuzumab amunaleukin, a CEA-targeted immunocytokine for solid tumours and antibacterial drug nacubactam. Finally, buried in Gilead’s results was the news it was dropping KITE-585, an anti-BCMA cell therapy for multiple myeloma that it acquired as part of the $12bn acquisition of Kite Pharma. The decision wasn’t a complete surprise as BCMA is a popular target among cancer drug developers and the company had already said it would only advance the project if it showed a very strong clinical profile.